Our most versatile gourmet basket, available in any size! A collection of our most popular gourmet foods, variety will vary based on your budget. Let us choose from a variety of award winning crackers, cheeses, smoked salmon, meats, jams, jellies, spreads, nuts, coffee, tea, gourmet cookies, cakes, candies, chocolates, gourmet snack items, pastas, sauces, olive oils and related gourmet gifts. Deck it out for a business gift, welcome gift, or to commemorate a special occasion. 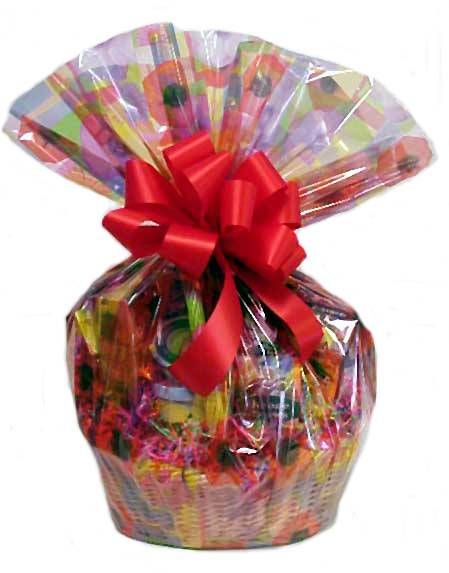 Basket size, wrap and ribbon will vary based on price and occasion.